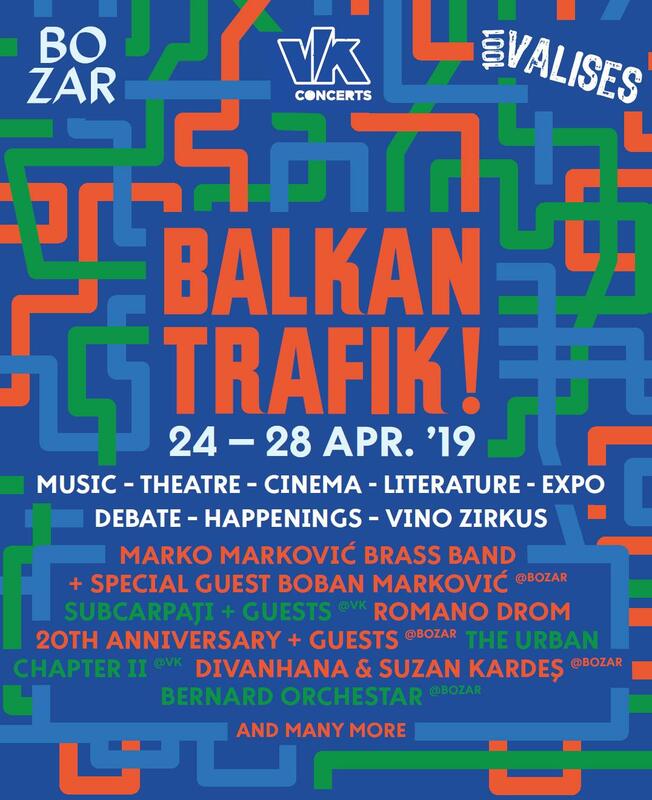 Save to Calendar 24-4-2019 12:00 am 28-4-2019 12:00 am Balkan Trafik! Balkan Trafik! is returning to Brussels for a 13thedition from 24 to 28 April. For the first time, the festival celebrating the culture of the countries of South-East Europe will be held at two venues, BOZAR and VK concerts. With a varied program that includes theatre, literature, cinema, music, graphic arts, gastronomy, street art, workshops and other exclusive encounters. An experience extending over five days that aims to open doors to the culture of the Balkan region to the widest possible public. A unique occasion to feel the region’s artistic and festive energy.